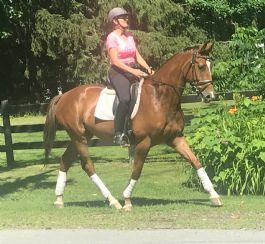 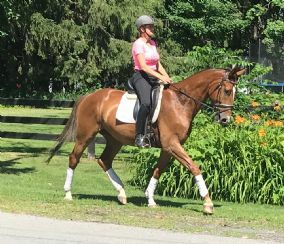 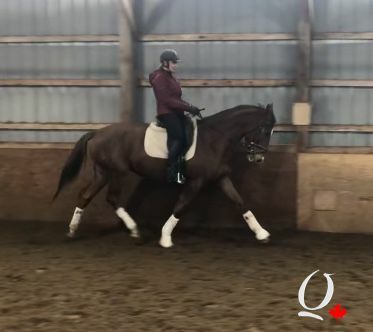 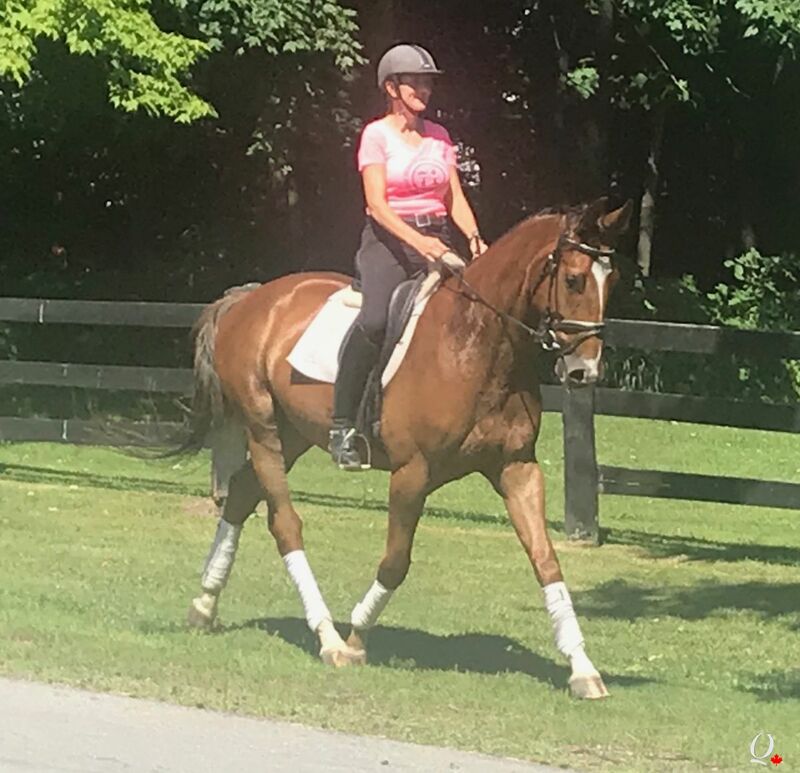 Darwin is a stunning young Canadian Warmblood gelding, out of the licenced Oldenburg stallion, Donner Bube by Donnerhall. Darwin is ready to compete Training level and schooling First level. He has very good lateral work with his leg yeild and shoulder in already well established. 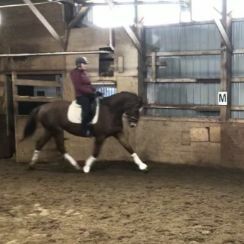 Darwin is developing lengthen stride in trot and canter and the ability to collect, He is happy hacking and jumping a small course. 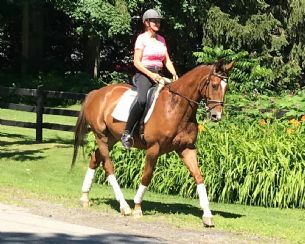 He has proven himself to be relaxed in new environments and well behaved off property. 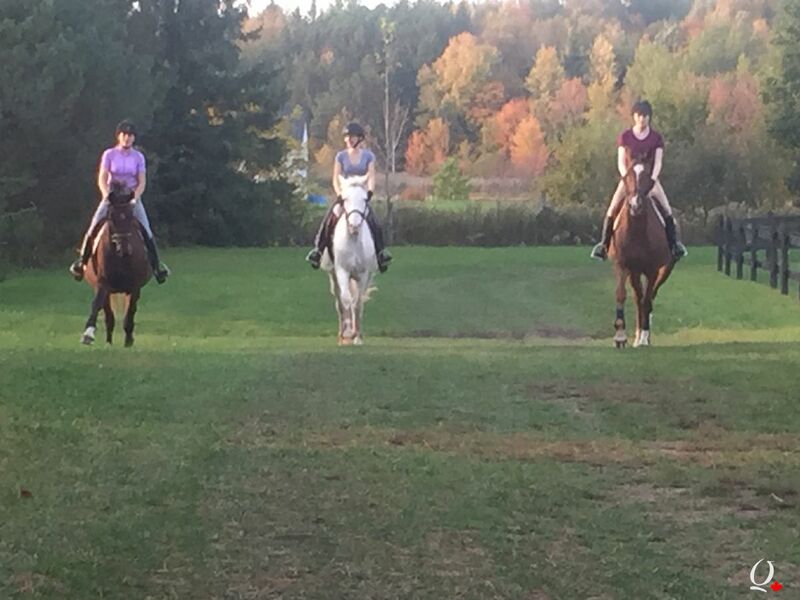 This lovely gelding is uncomplicated and smooth to ride with three exceptional gaits. 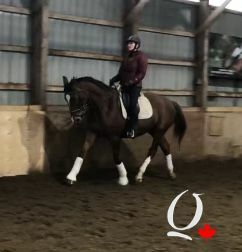 Contact us today to meet Darwin!